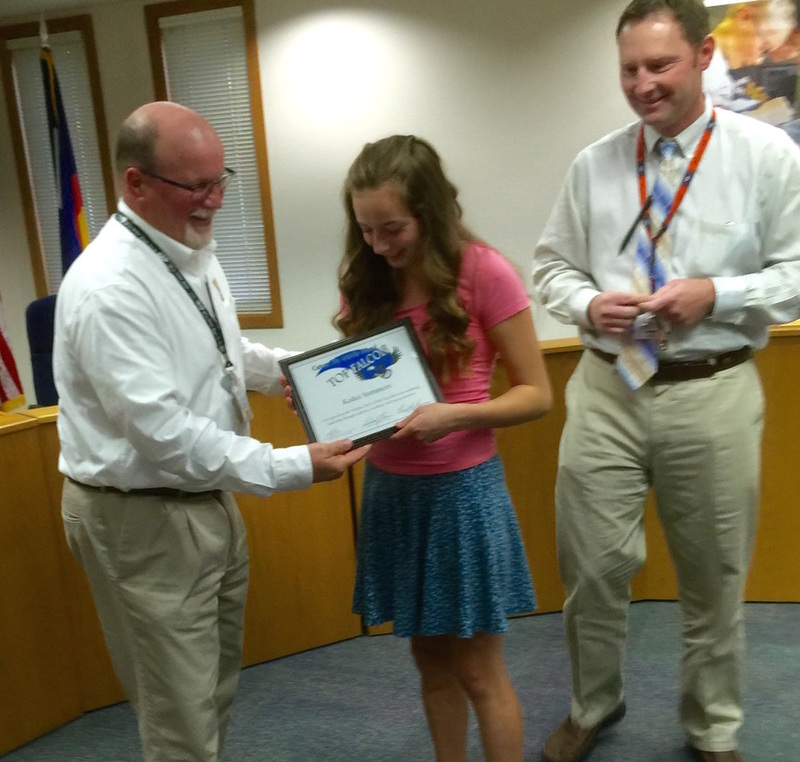 I want to thank Tim Renn, principal of Cañon City Middle School, for making the effort to honor his Falcon boy and girl of the month at our October board of education meeting. Eighth graders Kodee Summers and Kevin Dodd were introduced as Falcon Stars of the Month. Last week I noticed Lincoln Elementary students who arrived after the first week of school were trained in Discovery. This program supports them by teaching skills in relationship building and conflict resolution. On Friday I observed students at Washington Elementary School who dressed up as their heroes and presented to visitors what they learned about them. 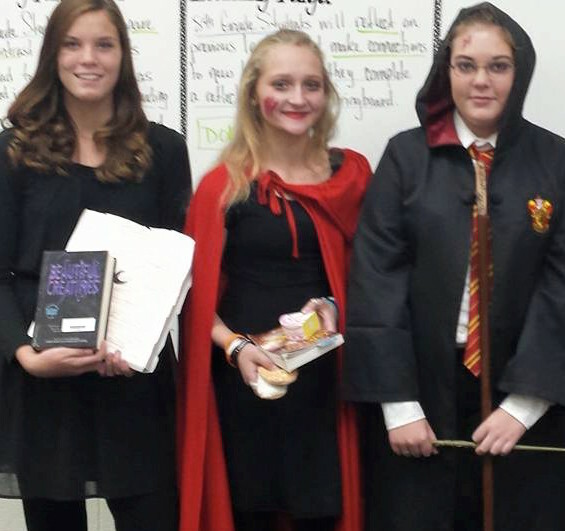 Meanwhile at the Mountain View Core Knowledge School and at Cañon Exploratory School students similarly dressed up and presented information about fictional characters. I thought these were great ways for children to participate in Halloween style festivities while also extending their learning! On Tuesday we had a wonderful meeting with various members of our evaluation council to set cut points for tying evidence of measures of student learning to teacher evaluation as required by Senate Bill 191. This will result in a draft version of a tool we can use to help teachers propose models to be used in their evaluation. Our next step will be to finalize this work before putting it to full use. On Thursday I trekked to the Mapleton School District with Bret Meuli and Nick Carochi to take a look at work they are doing in their high schools. We are learning about this in preparation for the next Cañon 20/20 meeting. I really enjoyed the time we had in the car, and we were all very impacted by what we learned. I noticed on Friday that many of our counselors and school psychologists participated in a Mental Health First Aid Training session at the administration building. This is very important work as it relates to the well being of individual students, as well as our whole school populations. I worked a full day around the office on Monday. On Tuesday we set cut points for indicators of student learning related to teacher evaluation. On Wednesday I attended the October Southern Superintendents meeting during the day, and our annual GATE Night in the evening. I traveled to Mapleton with Nick Carochi and Bret Meuli on Thursday to learn about their small high schools model. On Friday I spent a lot of time in various buildings. This week I'll take a trip to the San Luis Valley with several district leaders to learn about a reading intervention process we might implement. On Tuesday I’ll be on the radio in the morning, and I’ll follow the election results with interest later that evening. On Wednesday I’ll attend the Cañon 20/20 committee meeting and on Thursday evening an evaluation council meeting. I plan to spend a lot of time in the office on Friday. As of the time I wrote this on Sunday evening my Mets were hanging on for dear life against the Royals, and the Broncos were manhandling the Green Bay Packers. With any luck baseball season will extend through this coming Wednesday! Tuesday November 3rd from 10:30 AM to 11:30 AM at McKinley. Tuesday November 3rd from 1:30 to 2:30 PM AM at CCHS. Thursday November 5th from 1 to 2 PM at Lincoln. Friday November 6th from 11:00 to Noon at CCMS.